All are engineers are local with less than 15-20 minutes away from most Dublin areas. Our experienced team are available day or night whom offer professionalism at all times. We are backed by ISO9002 quality standards. Local Locksmith Near You. Our team are experienced in every aspect of lock related problems. Fast Efficient and cost effective – Security vetted –Uniformed engineer’s. Quality and Customer service is our main priority. Our Locksmiths are available 24 hrs. Our vans're fitted with tracking devices, all customers are provided with an electronic invoice. We are members of ALOA. All engineers have health & safety certificates. Our Dyno-lock dynolocks locksmiths dublin are ready for all emergencies that may require a mobile locksmith we can be dispatched to your location within 15 minutes of your call. We our know for our excellent locksmith service throughout dublin. 24 hour emergency locksmith, auto key replacement, car keys cutting, lock cylinder change or lock opening of all locks or get a quote. We are expert locksmiths service providers,a trusted registered branded name developed over 40 years, reliable and dependable in every aspect. A locksmith is someone that specialize in locks and keys. We can provide replacement locks, replacement auto key, open any car or door lock without any damage. Our reputable dynolocks locksmith dublin have good knowledge allowing them to be able to pick almost any lock. Our auto key experts can replace all makes and model of car keys. We are able to assist you to with anything from simple lock fitting and emergency door opening to the installation of complete door entry systems, and safety grilles. We work with business and home customers across Dublin. For any information regarding our services, please do not hesitate to contact us. our company accepts all types credit cards. We hope that the next time you’re in need of a professional locksmith, you’ll consider our services at dyno-lock Dublin locksmiths. 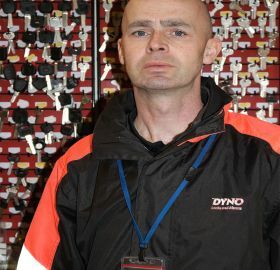 Dyno dublin locksmith have been providing expert locksmith solutions in the Dublin region for many years. we help residential and commercial clients will numerous types of lock requirements, such as lockouts as well as various emergency solutions, installation of locks, lock repair, key repair, key making, and other services. whenever you have a lock or a safety requirement, we are here to help. Providing the Dublin area with expert locksmith service since 1990. Our employees are educated in all aspects of mechanical and electronic locksmithing. our services consist of residential, commercial, automotive, safes, access control systems, intercoms, ip video surveillance, door closers, electronic door releases, and high-security locks. 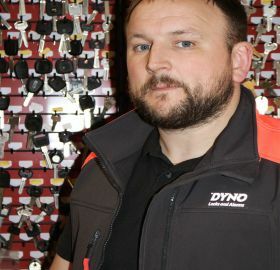 Dyno dynolocks locksmiths dublin is among the most reliable and highly respected businesses in the dublin area. we are a licensed operated business with a group of trustworthy staff who are more than happy to supply top level locksmith experience. We are reliable and a honest locksmith company. in the event that you have simply locked yourself out of one’s house, vehicle you simply can’t open your safe, we’re here to help and assist you with any locking problems you may have. Dyno locksmith Dublin is one of the top locksmiths service business that will provide the best help for you and your family when you need it. LOCK-OUTS – LOCK REPAIRS – LOCK CYLINDER CHANGES – LOCK FITTING – THROUGHOUT DUBLIN AND IRELAND! 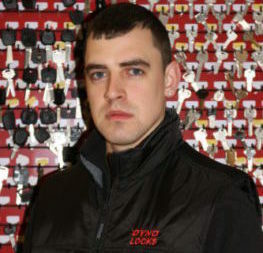 Dyno lock dublin locksmith, your 24 hour locksmith in dublin, only hire licensed locksmiths. Not only that, all of our mobile locksmiths possess years of on-the-job experience. Our mobile locksmiths in dublin are committed to keeping up our knowledge using the latest advances in the field. You can rest assured, simply because your emergency dublin locksmith requirements will be within the very best and most skilled hands that it could be. We are your local locksmith in dublin and we guarantee our work 100%. Contact now for a free quote! Based in the heart of the dublin city dyno-lock locksmiths have been a recognised name in the dublin locksmiths industry for over 16 years. Our experienced team strive to provide 24 hour locksmith dublin, reliable, quick, competitively priced and professional services to the entire dublin area with a high degree of workmanship and friendliness. We have emergency vehicles always on call for convenience and your peace of mind. Our Team Operate Around The Clock Providing A 24 Hour Locksmith In Dublin. Our Car Locksmith In Dublin Have The Experience To Provide Replacement Car Keys For All Most Any Make Or Model Of Car Or Van. We Provide Road Side Assistance If And When You Require It. Got an issue with a broken lock or key? For a top-rated Dublin locksmith that is available for all of your needs 24/7, call Dyno-Lock! A locksmith is someone who specialises in any lock or key issue that you might have. 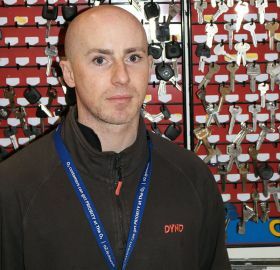 Dyno-Lock, one of the top-rated locksmiths in Dublin, has been operating for over four decades. In that time we have gained valuable experience serving our clients, making us some of the best in the business. We are focused on providing the best possible service for our customers, to ensure that they can be on their way again in no time. Losing the keys to your house or car can be a major inconvenience for anyone, so we are dedicated to rectifying these problems as soon as possible. What Locksmith services does Dyno-Lock provide? We provide many services, 24 hours a day, but the majority of our jobs are related to the home or car. It can be so easy to lose your keys, lock them inside, or watch them break inside the lock that you are trying to open. At Dyno-Lock, we understand that situations can happen at any point in the day. Our expert locksmiths are available around the clock, to offer their services whenever you require them. If you are having issues with the lock or key on your car, we can provide our services. We can open a car door without damaging it, regardless of whether the lock itself is broken or not. Our professionals can cut you a new car key, replace any lost or broken ones. They are also capable of fixing or replacing a broken car lock, if that is the issue. Newer models of cars come with a key fob, that can remotely open the car, which the engine requires wireless contact with before it will start. If the issue is with your key fob, we can also fix that. Van crime is on the rise in Dublin, and there has been an increase in criminals breaking into work vans. We can replace or install the different types of locking mechanisms, based on your company’s preference. If you require a locksmith for domestic lock issues, we can also provide our expert assistance. If you have been locked out of your house, we will open the door without damaging the lock system, to allow you access to your home again. We can replace any lost or broken house keys, and we can restore or replace your locks if they have been damaged in any way. Often, locks can get damaged during a break in. As a result, you may immediately require new locks for your own safety. Dyno-Lock can complete all of these services for you on the day that you call, so that you can have peace of mind for you and your family. If your garage remote has stopped working, our experienced staff members can fix it, or provide you with a replacement. At Dyno-Lock, we understand that sometimes it can be an urgent matter if you are locked out of your home or car. We also understand that these types of situations can happen at any point during the day or night. Unlike other Dublin locksmiths, we are available 24/7, all over the city, for potential emergencies. When you call one of our helplines, we will dispatch one of our professional locksmiths to your location as soon as possible. We have locksmiths situated around the city, so that we can dispatch somebody close to you, ensuring that they arrive to most areas in Dublin within twenty minutes. When they arrive, they will assess the situation, and begin to work. At Dyno-Lock, we pride ourselves on our professional workmanship. You can be assured that your locksmith will work swiftly and efficiently to ensure that you are ready to go as soon as possible. We make it a point to clean as we go, so that you are not left with any mess when you finally get into your car or home. Also, we can electronically invoice you, because there is nothing worse than dealing with paperwork if you have been dealing with such a stressful event. There is a belief that locksmiths only work with traditional keys and locks. However, as time and technology have progressed, so have we. Basic car and domestic lock repairs and replacements are not the only services that we can provide for you. Our services range from these kinds of jobs, to tasks involving electronic locks, and deadbolts. We can repair these types of locks, or install new ones. We pride ourselves on staying up to date with the latest technology in locks and electronic keys, so that we can be there for you should you have any issues. Dyno-Lock can also provide you with support surrounding other safety mechanisms for your house or business. If you are wanting to install or repair a safe at your house, we can do that for you. All of the safes that we install for you are fireproof and burglar-proof, giving you a safe space to store your valuables. We can repair or upgrade the lock mechanism on an existing safe that you have, fitting it with the latest and safest technology that is available. We are can install and service alarm systems, so that even if intruders do get past your locks, they are deterred by other means. We have special alarm systems for home and commercial use, which can be used to cover a variety of different sized spaces. We can also install or repair CCTV camera systems at your home or business, to ensure the safety of your family or company. For a full list of services that we can offer, check our website. Why should you choose Dyno-Lock Locksmith Services in Dublin? There are many different locksmiths in Dublin, and it can be hard to know who will provide you with the services that you need. Dyno-Lock has over forty years of locksmith experience, and we have made a reputable name for ourselves over this period. This experience has given us the ability to complete any job, no matter the issue. We are a professional team who is dedicated to providing the most efficient and friendly services for our clients. We have locksmiths situated strategically throughout Dublin, so that no matter where you call us from, a locksmith can be at your location within fifteen minutes. All of our locksmith engineers are health and safety certified, and work with absolute professionalism. Top quality and customer service are our main focuses, so you can be assured that you will receive the best service from any of our team members. For your safety and peace of mind, all of our staff are security-vetted and uniformed, so you know exactly what to expect when you are looking out for your locksmith. All of our vans are also fitted with tracking devices so that we can keep you updated about how far away they are. If you are still unsure, browse through some of our up-to-date customer testimonials. We pride ourselves on ensuring that we complete all of our jobs to the highest standard, and that we leave every job with satisfied clients. The pricing of our services is among the most competitive in Dublin. We are focused on providing you with the best possible service, without breaking the bank. Your service fees are calculated based on your individual needs and circumstances, so you are not paying a flat fee for some services or parts that you do not require. If you are interested in a free quote for our services, you can receive one by emailing us at info@dyno-lock.ie, by providing us with all of the necessary information. If you require our services in a more urgent situation, you may receive information over the phone when you ring to book a locksmith, or the locksmith will discuss with you the pricing of the services once your situation has been professionally surveyed. If you need immediate help from a Dublin locksmith, give us a call on 0873 800 800, or 1800 800 800. We are available 24 hours a day, and will send someone out to your location as soon as possible. We are also available by other means of communication, for less urgent needs. If you are interested in finding a free quote for our services, simply enter in all the relevant information onto our website here. Please don’t forget to leave your email address as this is what we need to respond to you. Also, leave as much information as you can about the situation, in order for us to give you the most accurate quote possible. During working hours, you should receive a reply in less than fifteen minutes. We can be reached by email at info@dyno-lock.ie. You can also ask us any questions you have on Twitter, at @dynolock. Our friendly team are always available to help you in any way they can!